This stylish New Era Seeglow NY Yankees cap is perfect to wear at every NY Yankees baseball game as it gives you the chance to show everyone who they should be supporting. 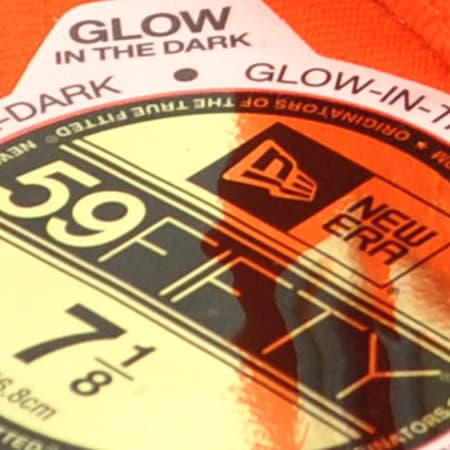 The logo on the front of this cap is capable of glowing in the dark which gives you the chance to show your dedication at all times of the day. 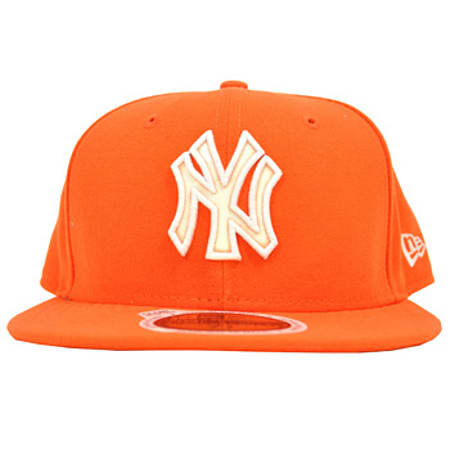 This New Era Seeglow NY Yankees cap design takes its inspiration from a traditional baseball cap design ensuring that it is extremely comfortable to wear. Featuring a simplistic but cool design, this New Era Seeglow NY Yankees cap is certain to have all of your friends envious about the fact that you can be noticed in the dark. 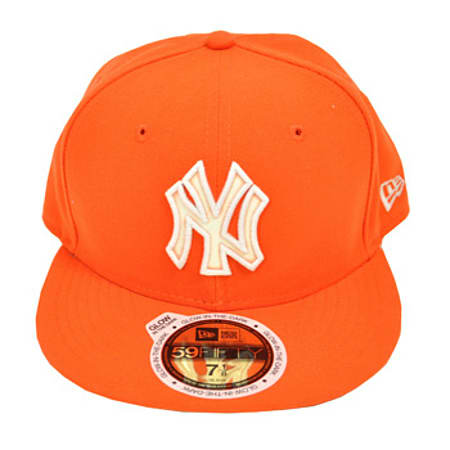 The design on this cap consists of an orange background with white embroidered NY Yankees logo on the front with an embroidered New Era logo on the side. The 59FIFTY sticker on the visor of this New Era Seeglow NY Yankees cap informs you of the quality of this hat as it is a member of the popular 59FIFTY fitted cap series. Manufactured from 100% cotton, this New Era Seeglow NY Yankees cap is extremely durable protecting it from the general wear and tear that you face on a daily basis. This cap is capable of completing every outfit in your collection giving you the opportunity to wear it every single day. So be sure to order yourself a New Era Seeglow NY Yankees cap today and you can start showing your support to the New York Yankees right away.